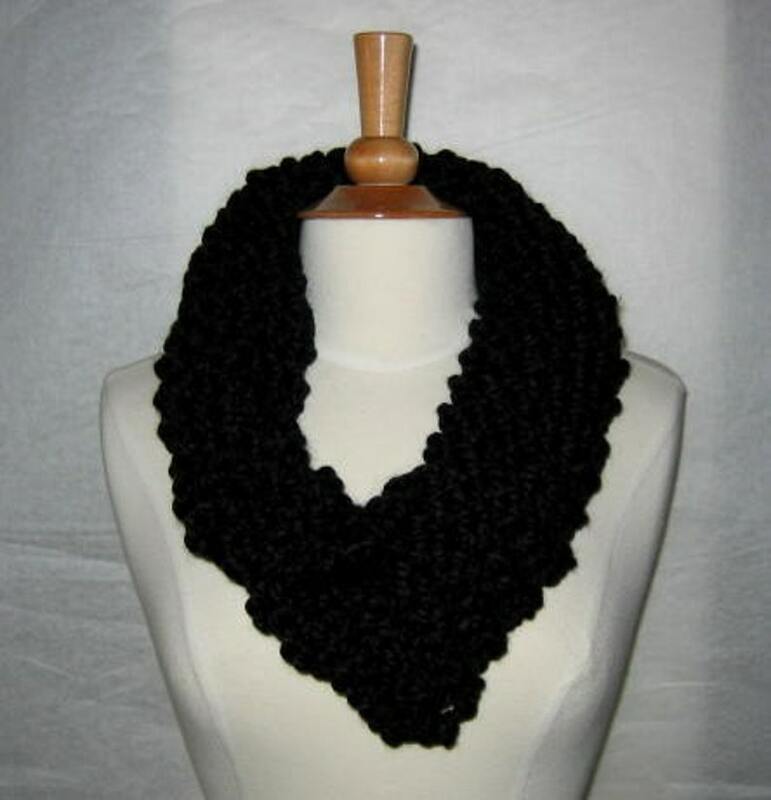 This scarf was knit using a wonderful bulky yarn in black. Super soft and plush, it will keep your neck warm in cold, windy conditions. There's nothing worse than a chilling draft going down your back. About 36" in circumference, 9" wide.